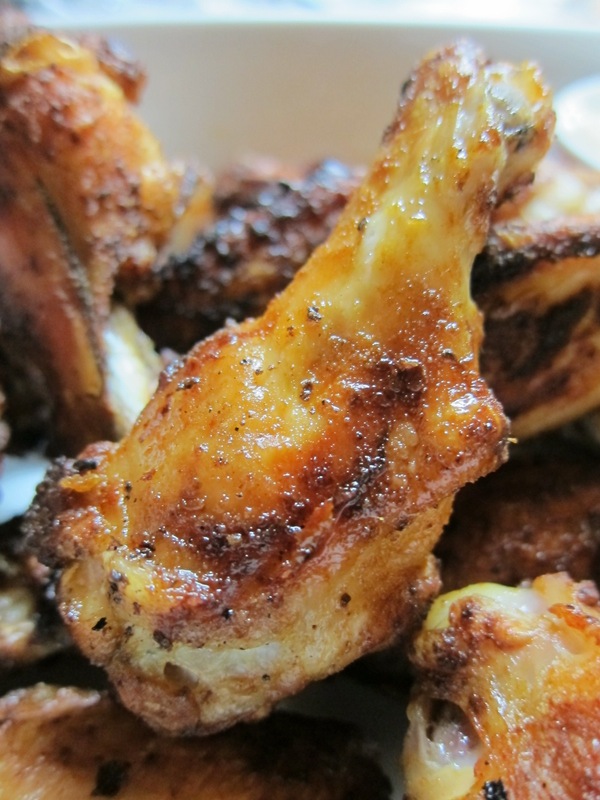 So, here is my version of crispy wings, using these three key elements. I used 1.5kg wings per batch, with the tip removed and cut into two (as in my honey soy chicken wingettes). 1. First I cut, trimmed and dried the wings and then placed them on a tray, uncovered, in the fridge. I didn’t have enough time to dry the wings overnight but I did manage about 6 hours which definitely made a difference to the texture of the wings. 2. Next, I rubbed them with a mixture of 1 tablespoons of baking powder (not baking soda/bicarb soda) mixed with 1 tablespoons of smoked paprika. 3. They were then spread out on a rack over a baking tray and went into an oven preheated to 220C, for about 20 minutes. I turned them once while cooking, but this may not have been necessary. 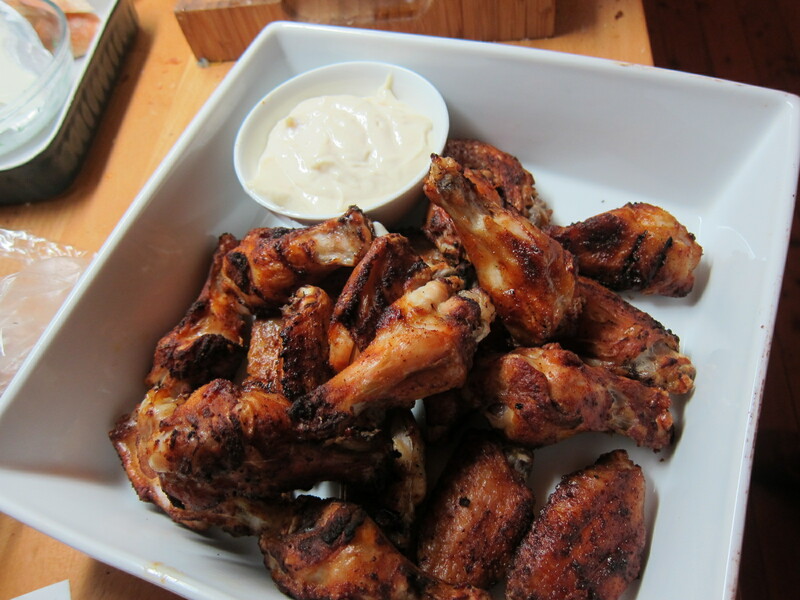 The end result was fantastic – they were crispy outside, and tender inside. Plus the smoked paprika was delicious and really worked beautifully with the simplicity of the aioli as a dip. Easy as!